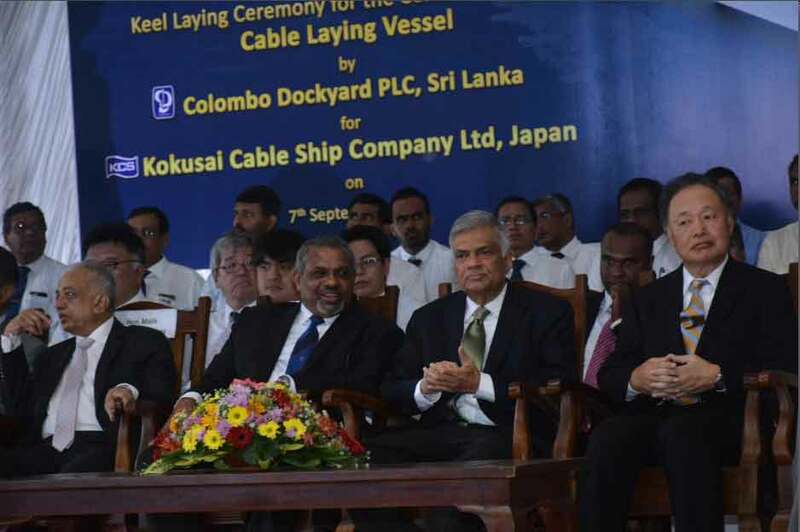 Colombo Dockyard PLC (CDPLC) ceremonially laid the keel to build the first ever Cable Laying Vessel for Kokusai Cable Ship Co. Ltd. (KCS) Japan, on 7th September 2017. 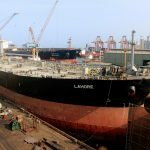 This will be the biggest ever vessel (contract value wise as well as length wise) to be built by CDPLC in its illustrious journey of shipbuilding excellence. 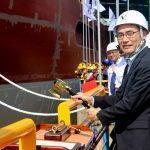 The securing of this prestigious shipbuilding contract from a premier Japanese cable laying company further reinstates the high shipbuilding standards achieved by CDPLC in the world shipbuilding arena. 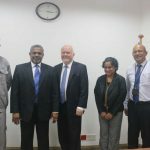 The historical Shipbuilding Contract for this project was signed on 7th April 2017 by Mr. D.V. 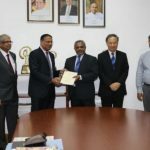 Abeysinghe Managing Director/ Chief Executive Officer in the presence of Dr. Toru Takehara Chairman while Mr. Yukihiro Fujii Managing Director (Engineering & Facility Planning Department) signed on behalf of KCS. From the date of signing of this contract, the Shipyard was actively engaged in finalising the preliminary basic design with the Ship Designer VARD Designs of Norway and carrying out model testing at the model testing basins in Vienna, Austria in order to verify the performance, which were successfully completed. 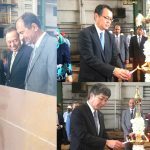 The keel laying ceremony marks the commencement of hull construction work and the auspicious occasion was graced by the Prime Minister Hon. 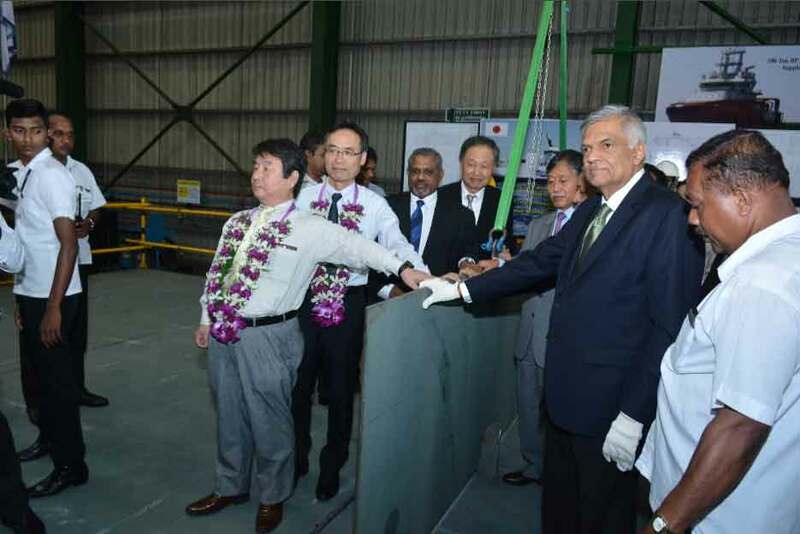 Ranil Wickramasinghe, His Excellency Kenichi Suganuma Ambassador for Japan, Minister of Development Strategies and International Trade Hon. 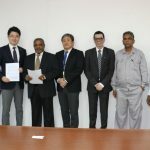 Malik Samarawickrama, Mr. Takaaki Anraku President KCS, Mr. Shigeto Kiritani Chief Technical Officer Global KDDI, Mr. Yukihiro Fujii Managing Director (Engineering & Facility Planning Department) KCS, Mr. Kenta Arai Director MOL, Mr. Fukuichi Yamada President MOL Marine, Mr. Shigeyuki Sato Deputy Director KCS, Mr. Makoto Kambe Director MOL Marine, Mr. Hiroshi Shimotai Site Manager MOL Ship Tech, and a host of other distinguished officials from Japan. 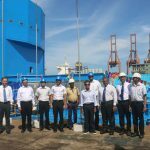 This Cable Laying Vessel is a high technology vessel which is intended for subsea operation and cable installation and repair works of optical cables as well as power cables adding to the versatility of the Vessel and has a cable carrying capacity of 5000 tonnes. For the handling of power cables, the forward tank has been fitted with a carousel system with a Spooling Arm. 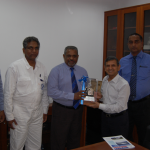 The vessel is a diesel electric driven vessel and optimized power is another key feature. Power is provided by four generator sets, developing 2,250 kW each. Three generators out of the four available are sufficient to cope with the highest propulsion power demands, ensuring high reliability. Transit at economic speed with two engines efficiently running will optimize fuel consumption. 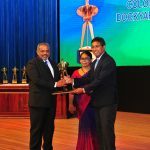 The Vessel shall have a bollard pull of 80 tonnes with a range of 10,000 nautical miles and has Dynamic Positioning capability to Class 2 for precision maneuvering.  The basic design and production drawings also shall be supplied by VARD Designs. 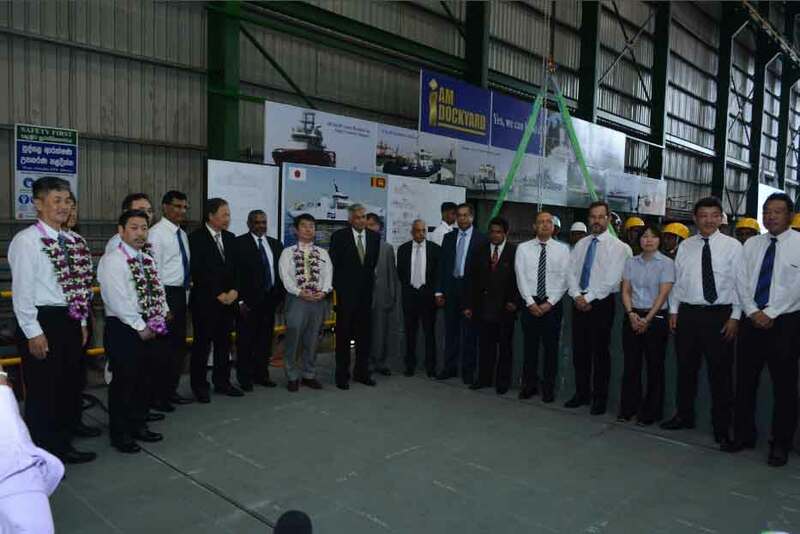 This Vessel shall be built and classed by Class NK and shall also meet the regulatory requirements of the Japanese Government. 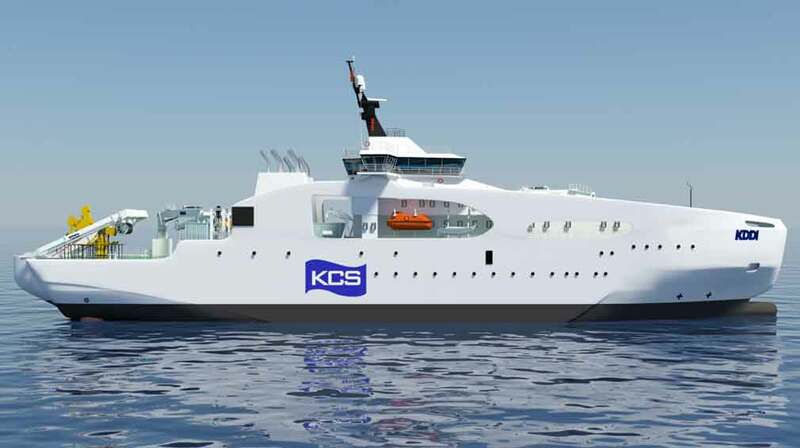 This vessel which is 111.3 meters in length, 21.5 meters in breadth, 8.80 m depth, with a maximum load laying draught of approx 7.1 meters has a deadweight carrying capacity of 5,300DWT and a planned average cruising speed of 14.5 knots with accommodation facilities for 80 persons. 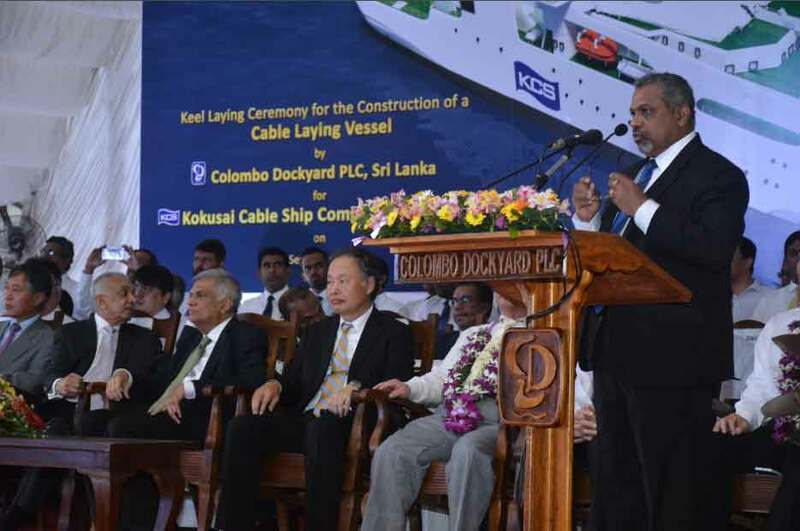 The Cable Laying Vessel is to be completed by the end of March 2019. 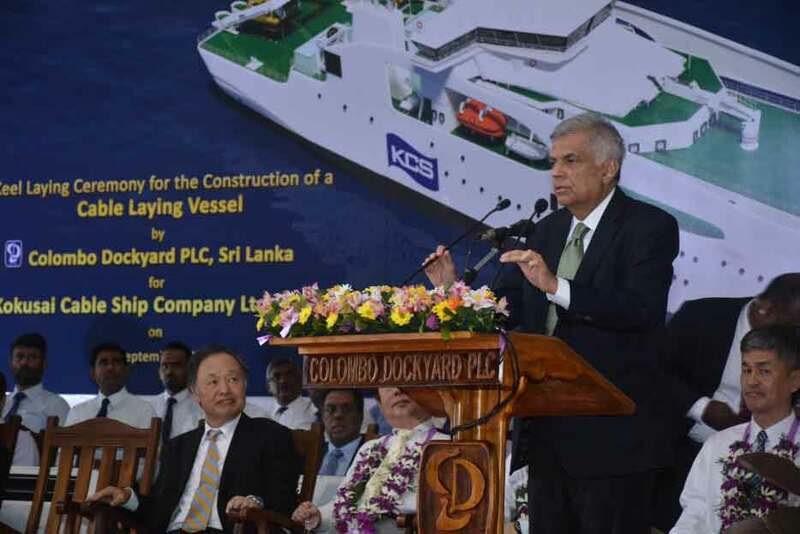 Colombo Dockyard PLC is a flag ship investment of Japan and operates in joint collaboration with Onomichi Dockyard Company Limited of Japan.